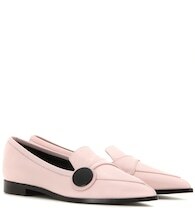 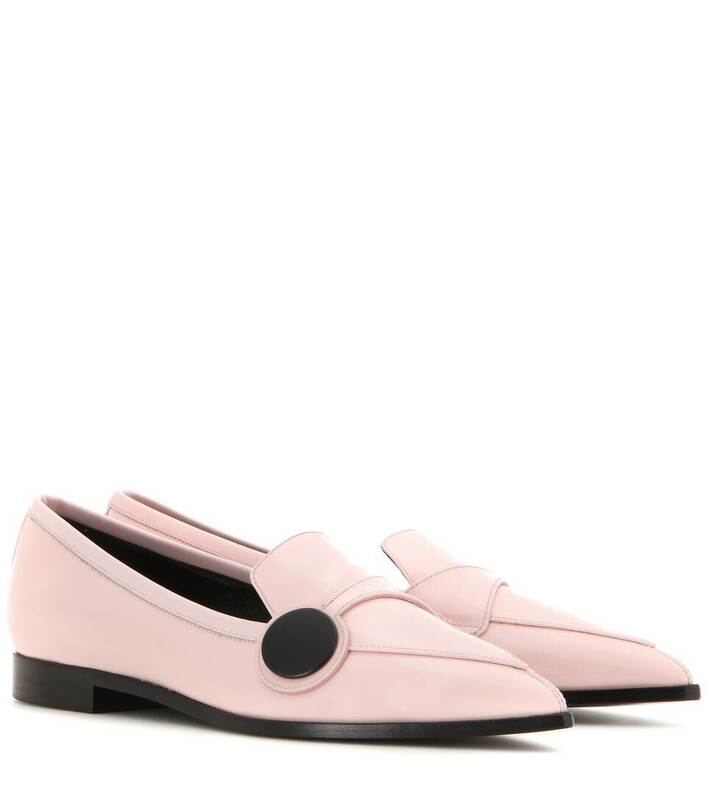 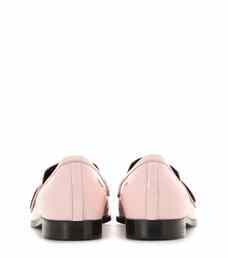 These Nicholas Kirkwood loafers integrate pretty pastel pink with a sharp pointed shape. 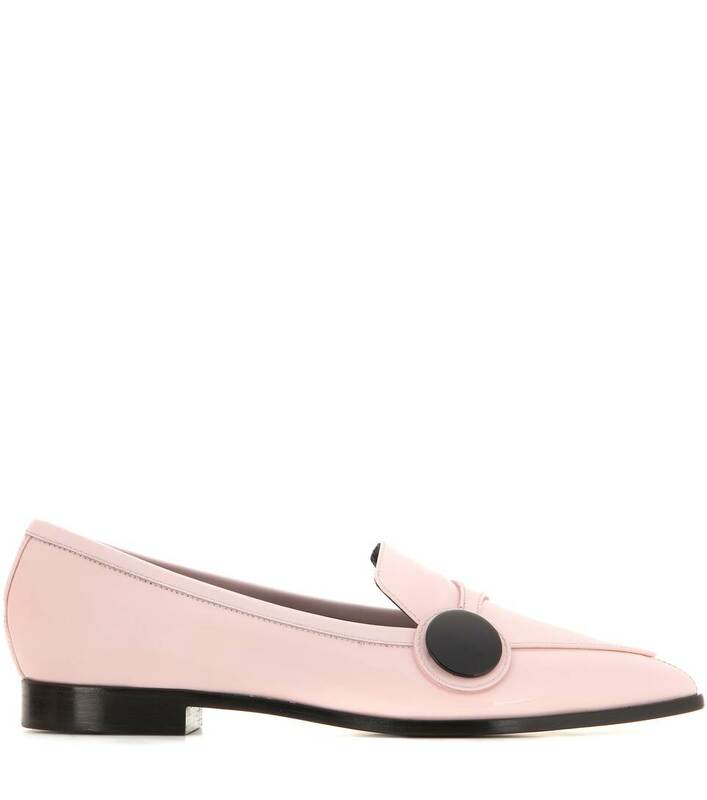 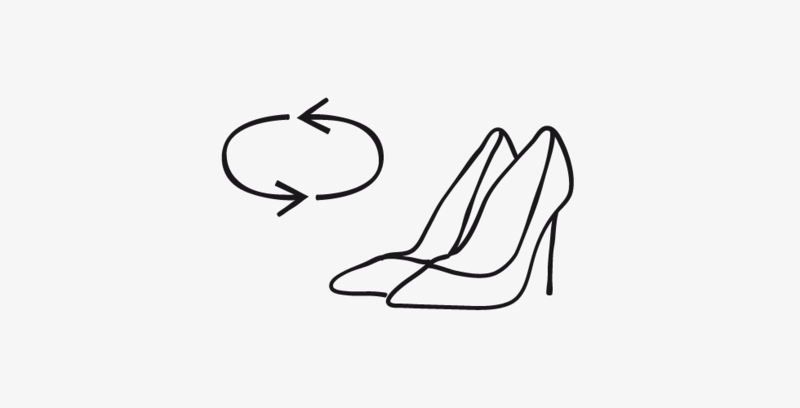 The patent leather adds a shiny quality to the shoe, while the black circles on the side are a contrasting artistic detail. 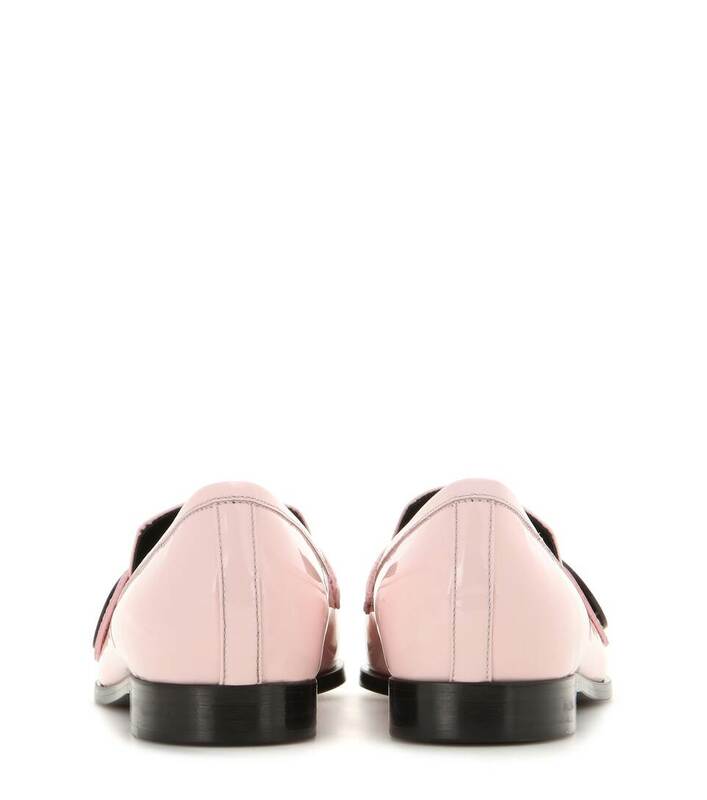 Wear with an LBD and an oversized shoulder bag for a stylishly relaxed ensemble.